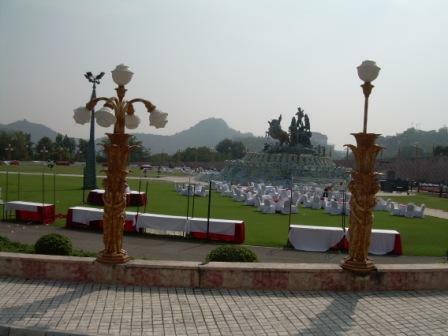 A visit to Ramoji Film City is very important to any tourist to Hyderabad city. It is an ultimate leisure holiday destination. 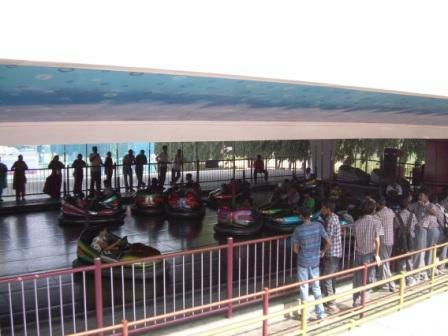 Though a day is not sufficient to visit all the attractions there at least spending a day there is a unique experience. What can you find here? 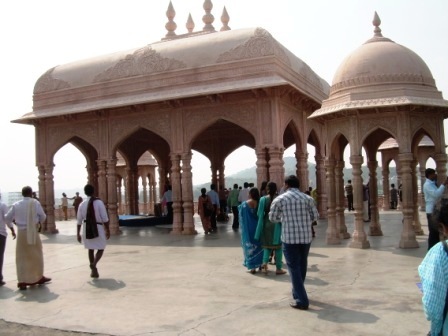 What is so great about Ramoji Film City Hyderabad? It is a land of entertainment, movies,unlimited fun, food, shopping, film settings, etc - in short its a great visual extravaganza. There is a strict security checking at the entrance. You are not allowed to take food inside. After the security checking at the entrance you will be picked up again in the same tourist bus and will go a lot of distance inside. Then you will be dropped at a point from there the red tourist buses will pick you up. The guide in the bus will explain to you everything as it moves and stops at a different point where you can go and see in detail. After visiting there you can board into another red bus which will take you to another direction with a guide. Like this you can experience several places there. No additional fee for these bus trips. 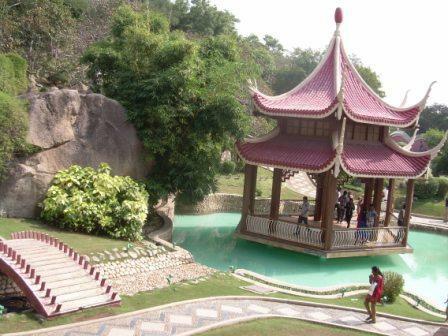 They have several types of tours such as general guided tour, Sitara Star Experience Dawn Package which provides air conditioned city tour bus and several other special ride facilities including food in the major hotels, and for students separately etc. A visit to this one of the most amazing man-made wonders will be really memorable. It is an ultimateholiday destination for the entire family. Those who want to have their wedding in the magical way, it is a wonderful place and you can get all arrangements there. For honeymooners they can start their new life in such an amazing way, which will be ever memorable to them, and hence it is a great honeymoon destination, too.